I was exposed to the world of Peranakan food since I got to know rif, whose father comes from Malacca and grew up the “Baba Nyonya” way. 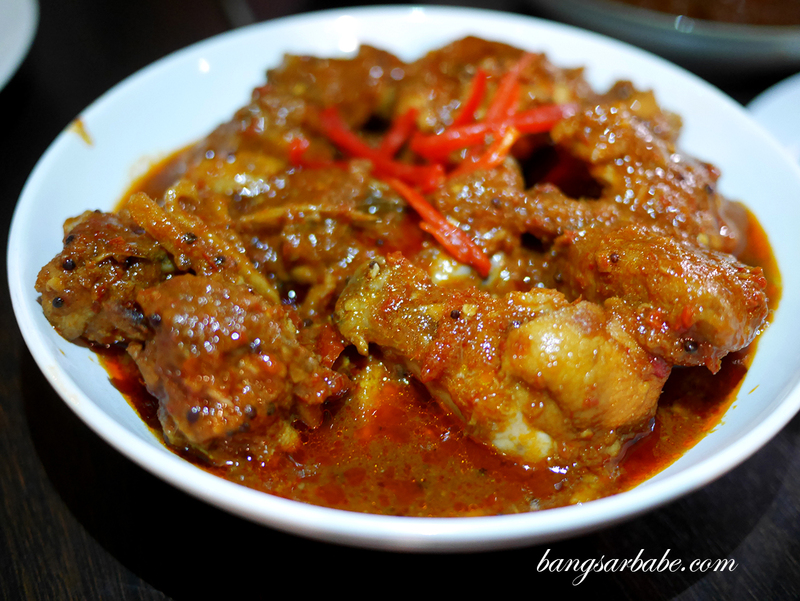 Meals at home comprise chicken pongteh, jiu hu char, ayam buah keluak, popiah, asam prawns and a whole lot more. 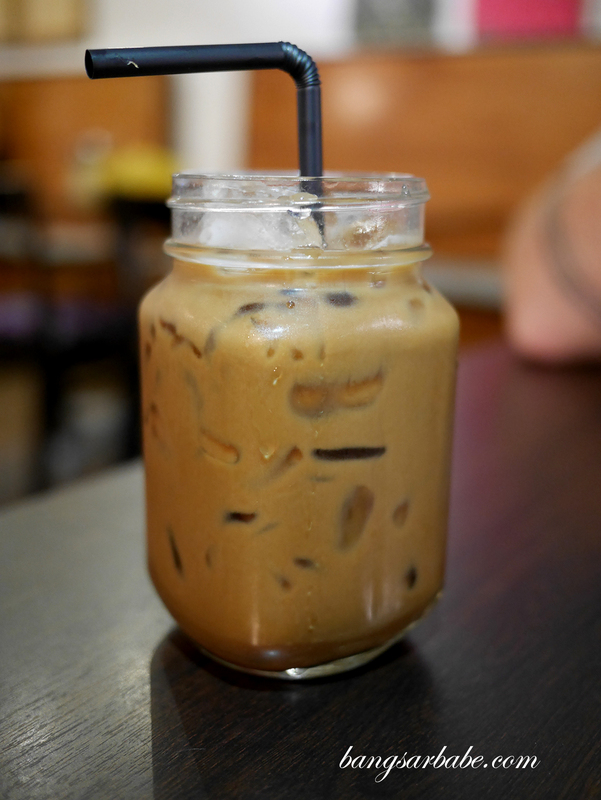 Which is why I never felt the need to rush to the newest Peranakan joint in town. 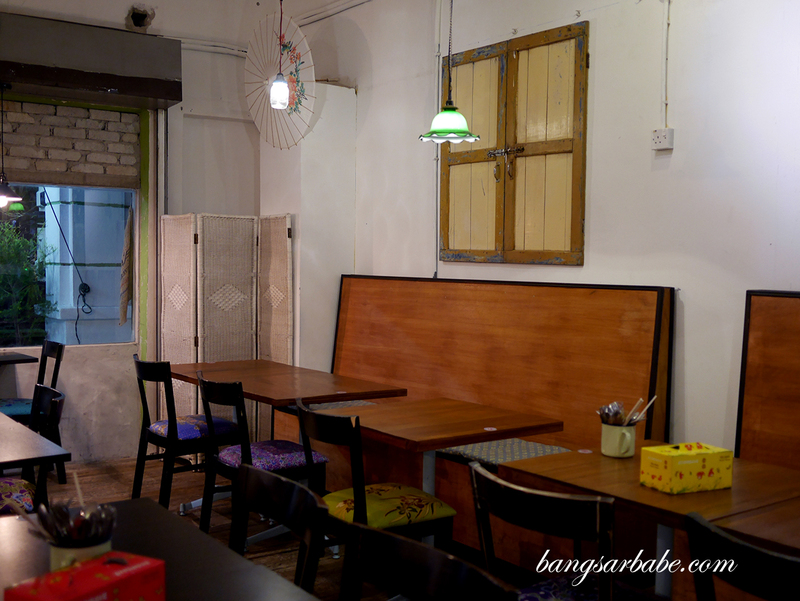 Big Baba in Taman Desa is the newest of Peranakan restaurants in town and the family, I was told, comes from Tengkera in Malacca – same as my father in-law. rif and I paid them a visit a couple of days ago with our friends, one of which comes from Malacca as well. Some of the items weren’t available that night, like the tenggiri cili sumbat and asam fish, so I suggest you call them ahead to check. 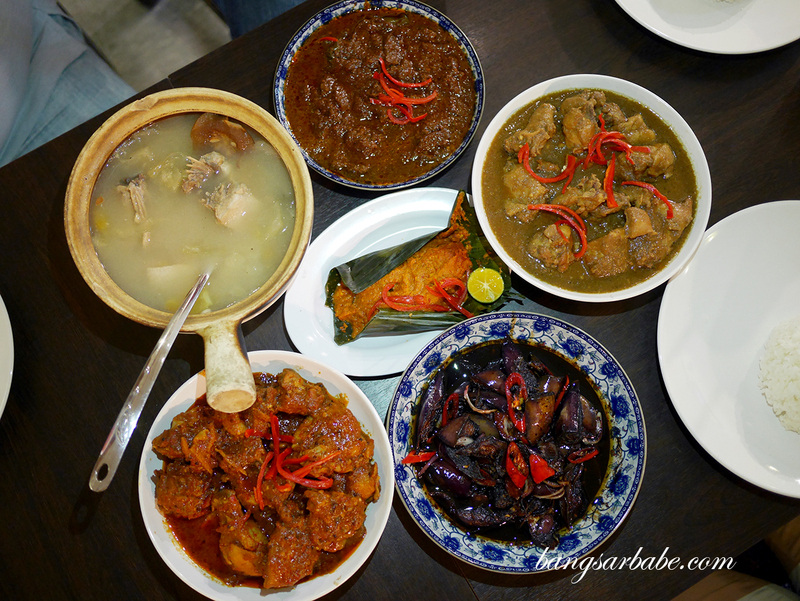 We tried the chicken pongteh, curry dabael, beef rendang, itik tim, otak-otak and terung masak tempe. 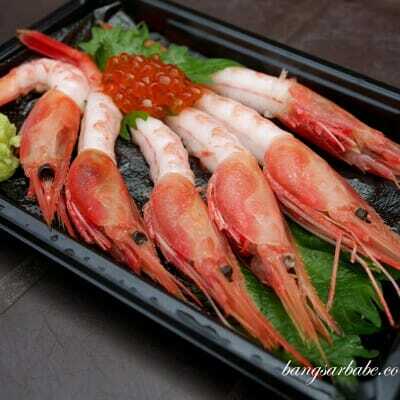 Service was efficient that night; our food didn’t take long to arrive and I liked how attentive the staff were. 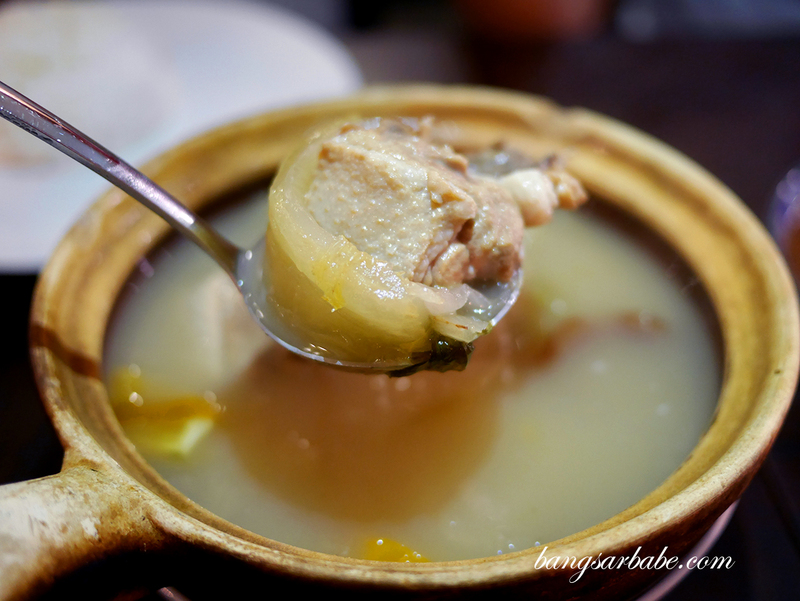 The chicken pongteh (RM26) was quite decent – a savoury-sweet dish that features fermented bean sauce (taucu), gula Melaka, chicken and potatoes. My mother in-law makes hers more savoury, which Big Baba’s version is sweeter. Both good, so it depends on personal preference. 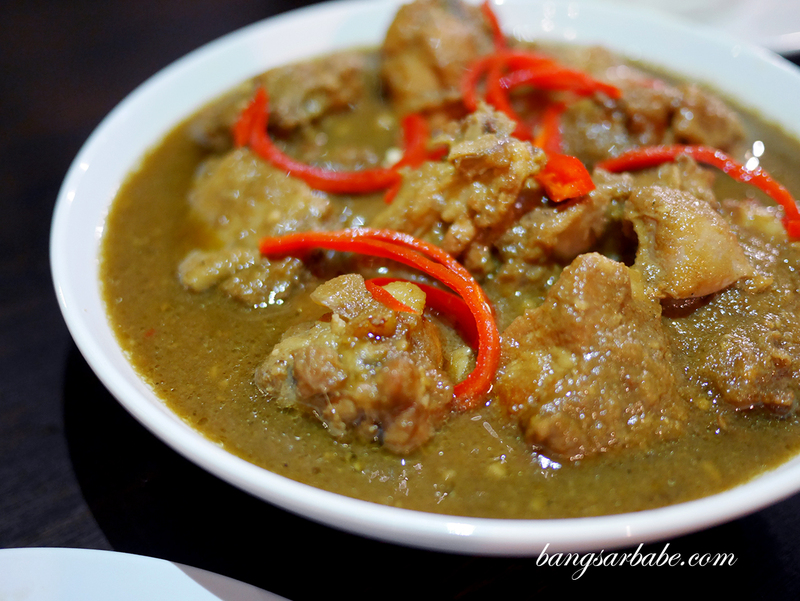 Curry Dabael (RM26) can be a fiery dish for some. 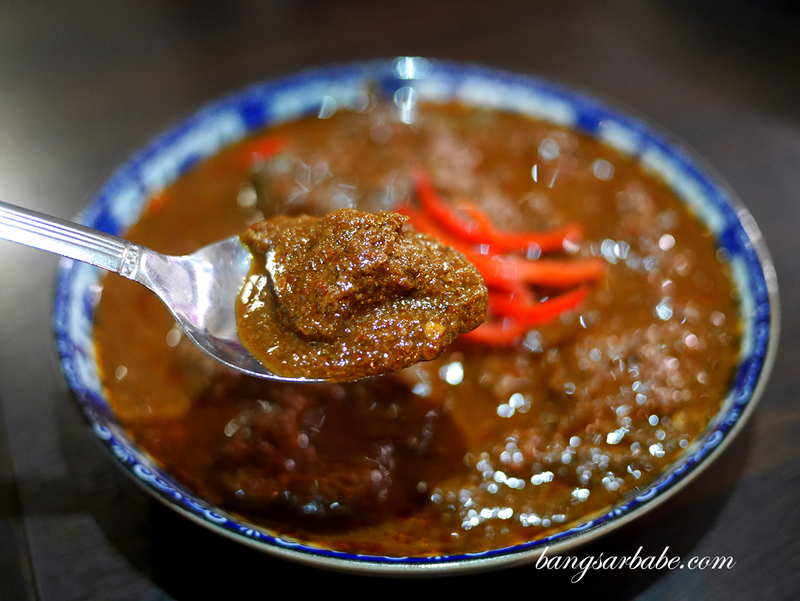 Also known as curry devil, the gravy is spicy and aromatic from the sautéed chili, shallots, garlic and galangal mix. This reminded me of rif’s nanny’s curry devil, but milder. Her version was so fiery it would leave my mouth tingling and my tummy, in somersaults. 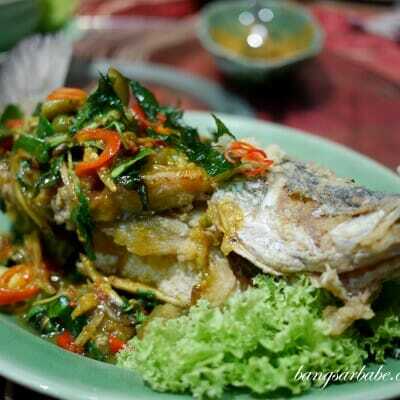 Itik Tim (RM26) is an acquired taste and until today, rif doesn’t fancy this dish. I love it though, because it’s so simple yet so comforting to eat. The one at Big Baba is by far the most robust I’ve had – every spoonful was savoury and sour from the asam keping and tomatoes. The beef rendang (RM26) didn’t exactly rock my boat, though it went well with rice. I would have preferred it spicier to add oomph to the rice. 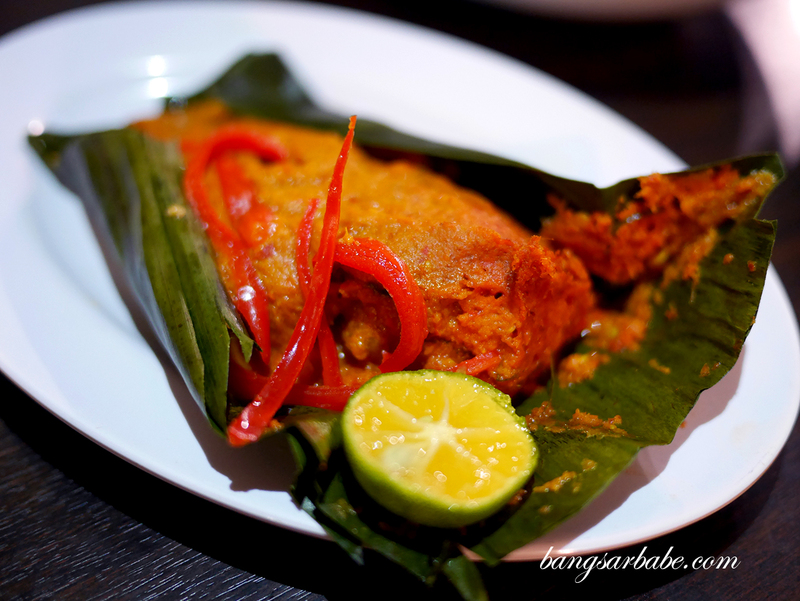 According to rif, there are several kinds of otak otak made in a Peranakan household – there’s the one where the fish is shaped into little balls and cooked in otak otak gravy and one that’s packed in banana leaf. 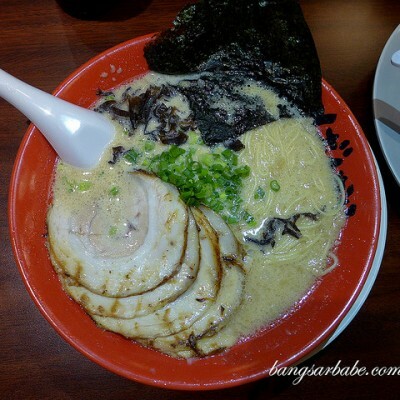 Big Baba serves the latter (RM12), and it’s quite good. 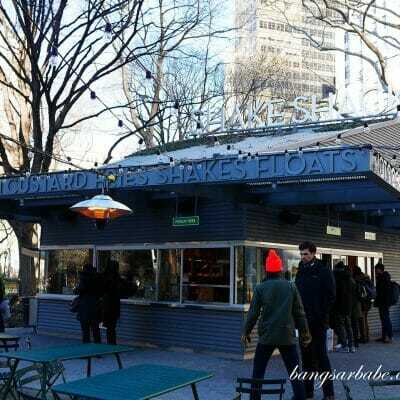 I did however, wish there was more fish inside. Terung Masak Tempe (RM12) may look unassuming, but this dish packed quite a wallop. 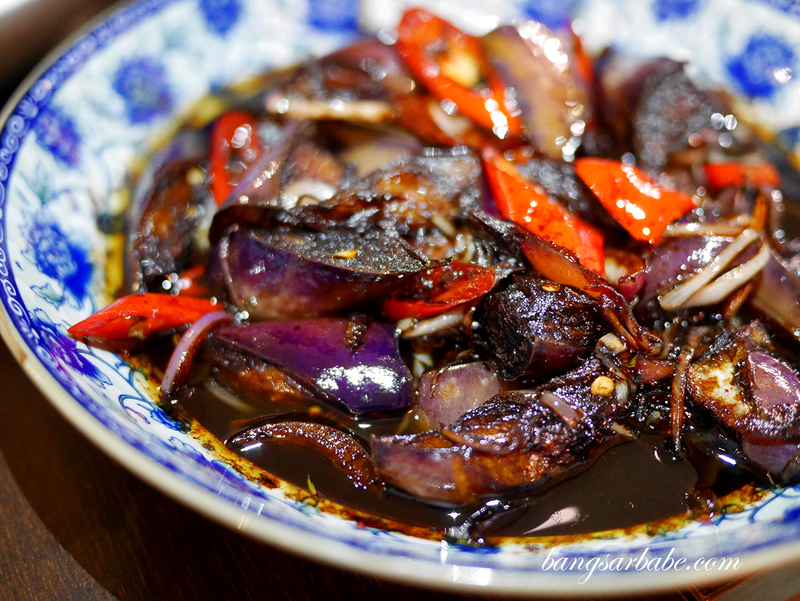 The eggplant slices were cooked till tender and seasoned with dark soy sauce and tempe, and chilli slices for an added kick. 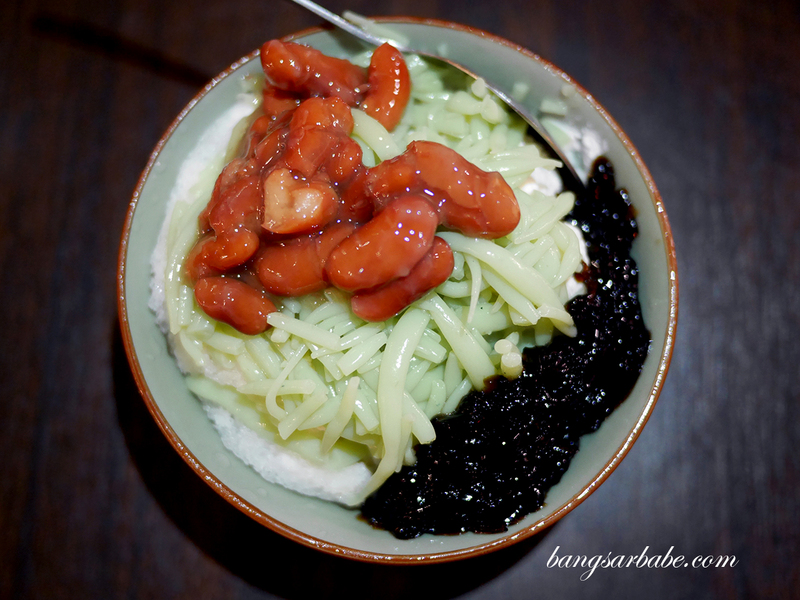 The cendol (RM6.50) comes with gula Melaka on the side, so you get to control the amount of sugar yourself. This, I didn’t like very much. The cendol strips lacked (pandan) flavour and aroma, and while the gula Melaka was quite fragrant, this didn’t taste ‘complete’. Our bill came up to RM200 for all the above, inclusive of drinks for four pax. 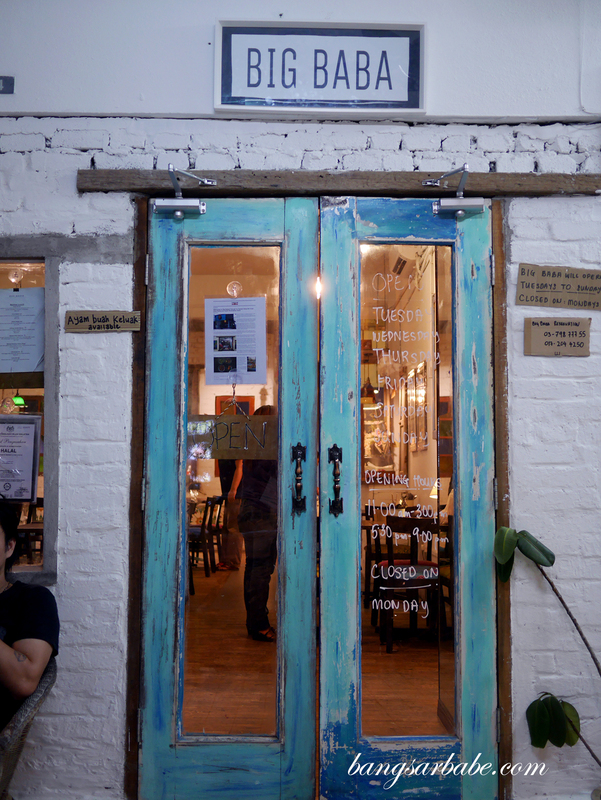 While I’m considered very blessed to be able to indulge in Peranakan food on a regular basis, Big Baba is a great alternative for those who want a taste of what it’s like to dine in a Peranakan home. 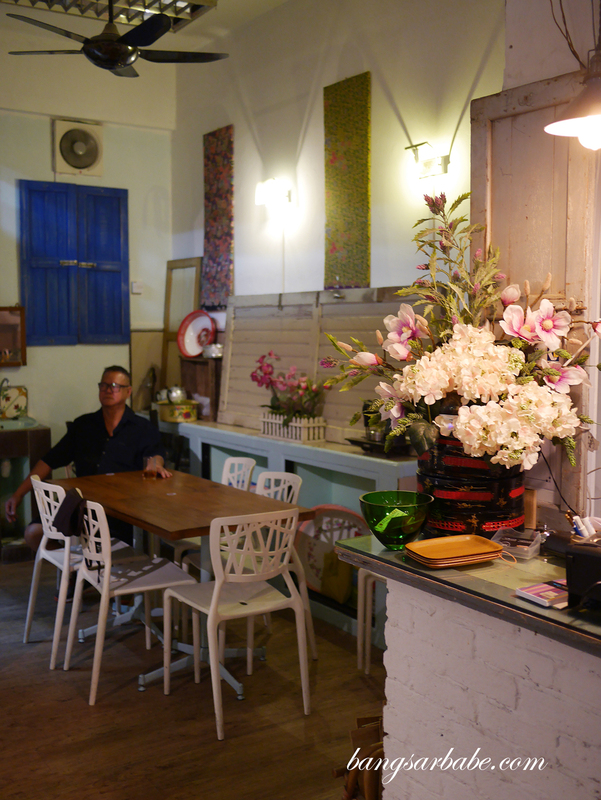 Verdict: A great alternative for those who wants a taste of what it’s like to dine in a Peranakan home. Big Baba — love the colour of the door!